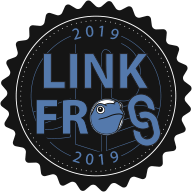 Link Frog is a mashup of Leap Frog and the trophy linking challenge. The goal is to link as many trophies together based on their starting and ending letters as possible. This is a great opportunity to work through your backlog and see just how long a chain you can create. To find out more about the event, please read the Link Frog Event FAQ. Link as many trophies together based on their starting and ending letters as possible.